E-commerce is the word in a discussion of all those in business these days. It is almost like your business doesn’t really exist if it isn’t out there on the world wide web! With the world turning tech-savvy, online marketing and E-commerce have become an in-thing in the industry that a business can’t survive without! It accounts for one of the most significant aspects in any industry. The sales on E-commerce websites have seen a considerable boom in the past few years. To put it for you in a nutshell, it is the buying and selling of products via an electronic means, precisely, the internet. Since, its establishment, it has slowly revolutionised the way market works. It has come to a point wherein a consumer can purchase any and every utility online, at any time in the day. Now, the question is, how are some businesses more successful in selling their products online than their counterparts? The most straightforward answer to this would be- effective online marketing! Manufacturing a quality product or delivering excellent service isn’t the only criteria needed to be A1 in your industry. The key lies in how you present it to the consumers for them to make a purchase. Let’s have a look at how the concept of E-commerce has won the hearts of all the business owners out there! E-commerce gives you the capability to reach out a broader spectrum in terms of consumers. There are no geographical limitations in an E-commerce business. Every consumer looking out for a utility in any part of the world has access to what you are pitching via your online marketing. Hence, it is all on the seller as to how far he wants his reach. Why limit your business to working hours when you can keep it open to the market 24*7/365? This leaves the consumers with an option to make a purchase whenever they feel like. In turn, giving the business owners the power of keeping their consumers happy and satisfied. The job part of the owner ends with successful online marketing and keeps him/her in business throughout. Setting up an E-commerce business isn’t a very expensive affair when compared to the other means. Yes, the details involved are aplenty and can get complex at times. However, when seen with a broader view, the investments involved are way lesser. Businesses opt for increasing their sales with effective online marketing. This includes well-targeted advertising, eye-catching display of the products or services and impactful content on the site. Here comes another successful strategy of online marketing. E-commerce gives you the ability to understand and track your consumer’s needs. The business owners can keep an eye on the buying habits of their consumers and can reach out to them accordingly. This benefits the owners greatly. It helps them sustain their relationship with the consumers and keeps them happy. The consumers sell the products too! Yes, you read it right. It is not just the business owners selling their products or services, and their satisfied and happy consumers do the same. With the option of posting a review or sharing the service/ product experience, consumers can now express how they liked their purchase. This motivates the other consumers on the internet to make the same purchase. This is indeed, an impressive benefit of E-commerce and online- marketing. E-commerce business helps in cutting down on the inventory management part too. The inventory managing process can be made much more comfortable and quicker with automation and web-based systems. This saves the business owners the trouble of physical and tiresome management process. Also, this helps in cutting down the salary- paying staff too! How much of the details can actually be provided to a consumer physically? One certainly can’t explain every feature and aspect of the product or service to the consumer in person. Sometimes, the time isn’t enough or other times, and the consumer isn’t willing to listen. E-commerce business utilises online marketing and makes its way right into the consumer’s minds! All the information can be laid out effectively on the website. Thus, convincing a consumer to make the purchase becomes easier. The costs involved in setting up and maintenance of an E-commerce business set-up are comparatively lesser. The labour cost decreases by a manifold. There is no need for a person at the billing counter or at the inventory system. No salespersons are required to roam around the store to get in consumers to buy the product or service. The comprehensive online marketing will do the trick. Hence, the total number of employees needed at the back end reduce, leaving you with higher profit margins. These were just a few of the many advantages that E-commerce has provided the business owners with. Undoubtedly, the points mentioned above are more than enough to lure any business into making its presence online. The generation today survives on the internet. Every little thing can be done through or accessed via the internet. Hence, when it comes to businesses, they should go online too. Online Marketing has become essential to survive in the E-commerce business world now. It is the key to better sales! It helps the owners reach out to the consumers in a much more attractive and luring manner. MLK Marketing does a perfect job at online marketing. Its forte is to help the businesses flourish with its well thought and well-analysed strategies. 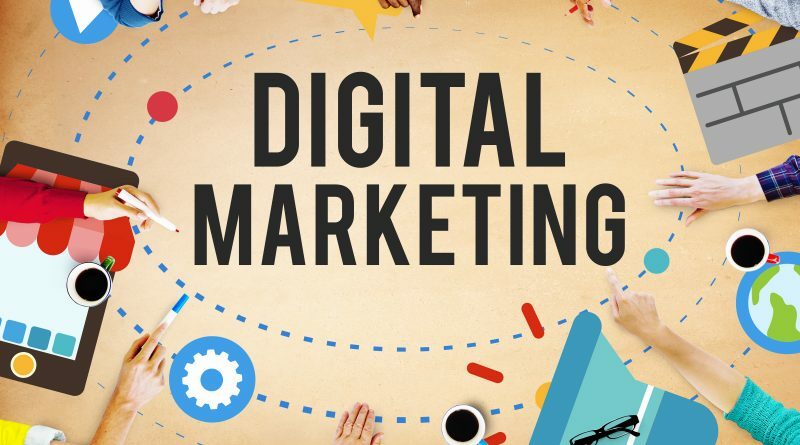 The experts at the firm understand the minutest of details and fall-backs as well as pro points in the individual businesses and help the owners devise online marketing tricks specific to their activities. Every owner wishes to make his/ her business a success, and successful marketing is the key to it!